I like that I get my mammogram on the same day and same place for my annual check up. I can't believe I made it this far, and know that wouldn't have happened without your stellar team. I can not thank you enough! Happy visit, see you soon! They have a excellent service ! Dr. Roberts and Jacqueline are very attentive and caring. They are the best! Dr Roberts and his staff are very professional and friendly. Dr. Roberts is amazing! Always thorough, great bedside manner and efficient. Thank you for being such a great advocate for your profession! 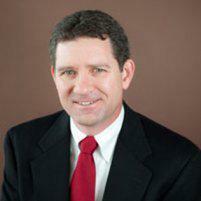 Dr. John Paul Roberts is very knowledgeable and well respected OBGYN by patients and peers of his field. He has been my gynecologist for years and helped manage/deliver our 1st child last year. His bedside manner is the best and I trust him with everything. I recommend him for women of all ages. And highly encourage women who are newly pregnant (even those who are high risk) to consider him as a provider. He's the best! Great visit today! Always exceed my expectations! I have been a patient for nearly seven years. I hsve been very happy with Dr. Roberts' knowledge, professionalism and sincere interest and care. Dr. Roberts has been my OBGYN for 9 years and I couldn't recommend anyone more professional, relaxed, attentive, or with a better bedside manner. His nurse Jackie is also amazing! If you are looking for an OBG look no further. Always a great experience. Great customer service throughout - check in, visit and check out/scheduling. Love my OB GYN office!